Welcome to Part 2 of my Skipping Meals series! Today, I am going to be talking about balancing blood sugar by nourishing our bodies early in the day. This is building on the theme established in Part 1 of this series about how so many women skip breakfast (and sometimes lunch) and then find themselves binging and overeating at night. If you haven’t already read Part 1 of this series, please do that first. I wrote each article in this 5-part series to build on top of one another. You can read part 1 here. Stable blood sugar is one of the foundations of good health. And in today’s world there seem to be very few people with truly stable blood sugar. That is why it is something that I work on with my clients when we start creating a sustainable, long-term health plan for vibrant living. Blood sugar impacts all other hormones in our body, so it’s pretty critical that we keep it balanced in order to keep the rest of the body balanced. This is a great article that has links to specific scientific studies regarding many of the bullet points above for those who like to dig into the science of things. I also want to take a moment to really emphasize the importance of not letting yourself get too stressed out about food if you are already eating a well-balanced diet and still having blood sugar dysregulation. Just because you eat a super “clean” diet and do everything “right” doesn’t mean that you will automatically have balanced blood sugar. As you see from the list above, there are so many things that go into creating balanced blood sugar and diet is just one part of it. My motto is: Start with diet first. Then dig deeper if needed. 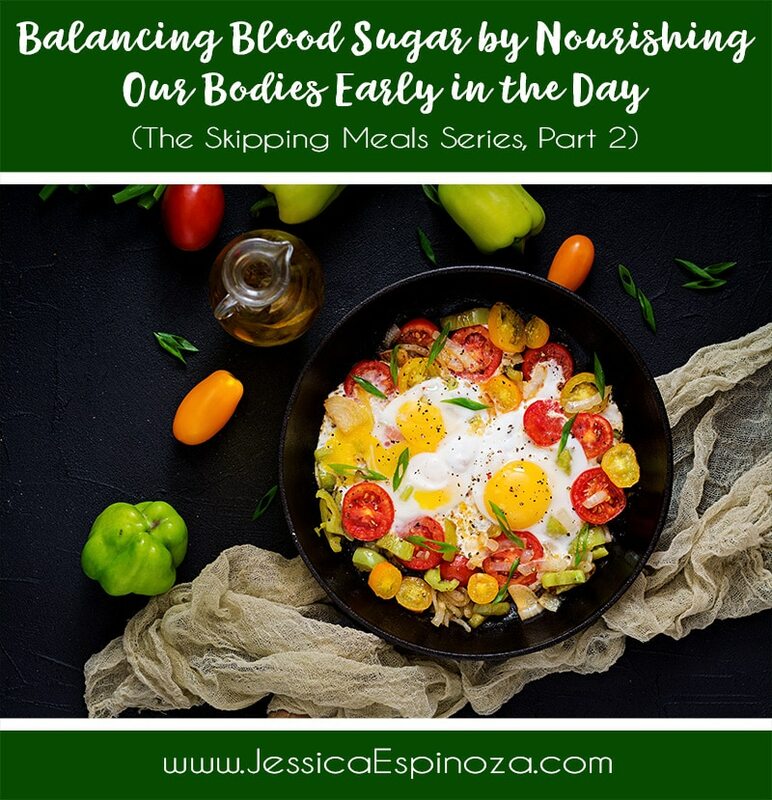 In keeping with the theme of this series, let’s talk about how skipping meals can impact your blood sugar and lead to binging and overeating later in the day or night. In order to understand this, you need to know the basics of how blood sugar works. Many people don’t fully understand blood sugar and may not realize that even if you are not diabetic or pre-diabetic that it’s an important thing to understand and keep an eye on. Blood sugar management is something we should all be concerned about. Blood sugar is the second most tightly regulated system in the body (blood pH takes first place). As with all things, the body will do its very best to keep things in homeostasis (balance), but in today’s crazy hectic world, the odds are sometimes stacked against us. In order to not get too technical or “sciencey,” I will try to explain this as simply as possible. The normal blood sugar range is between 80 to 100 mg/dL with 80-89 mg/dL being a more functional range. If you check your standard labs, you’ll notice that most of them list anything between 90 and 100 mg/dL as normal. 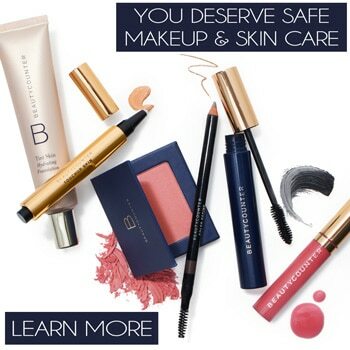 Standard lab ranges are different than functional lab ranges because standard labs are basing their averages on sick people, while functional lab ranges are trying to base their readings on healthy people. Some experts suggest that lower blood sugar levels are even more optimal with a range of 70-85 mg/dL being ideal. Insulin, glucagon, and other hormone levels will rise and fall throughout the day to keep blood sugar in a normal range. These levels will be based not only on what you eat but your stress levels, your movement levels, your sleep, etc. When you have too little of these hormones, you can experience blood sugar that falls too low (hypoglycemia) and when you have too much of these hormones, you can have blood sugar that rises too high (hyperglycemia) (1). After you eat food, your blood glucose levels will naturally increase. How much it increases is going to depend on how much starch/carbohydrates you eat. Our bloodstream can only handle about 5 grams (roughly 1 teaspoon) of glucose at any one time. When you have more than that, insulin is released to help bring the blood sugar levels back down. The body does this by signaling cells in the pancreas to release insulin, which will cause the body to absorb glucose from the blood so that the blood sugar level will return to normal (1). On the flip side, if your blood sugar drops too low, the level of insulin will decline and your body signals other cells in the pancreas to release glucagon. Glucagon stimulates the liver to turn stored glycogen back into glucose and release it into the blood. This process will bring your low blood sugar levels back up to normal (1). The main biological function of insulin is to store away excess nutrients in case of a famine. That’s why people who deal with imbalanced blood sugar that runs high tend to gain weight very easily. Insulin is released on an as-needed basis in order to help keep our blood sugar in a normal range and get glucose into our cells. While we need insulin to transport nutrients, we do not need very much of it. Our body uses glucose is a source of fuel but too much is toxic and the body’s natural mechanisms work very hard to try to get it out of the bloodstream quickly before it can do damage (2). Over time, if our blood sugars remain elevated or we continually bounce around from low to high, low to high, we damage our body’s natural balancing system, leading to metabolic dysfunction and disease. As you can imagine, this is a delicate balance within the body. A constant dance between our cells to keep things juuuuust right. Remember, the body loves homeostasis and will do its very best to keep itself in balance at all times. There is actually a bit more that goes into the whole blood sugar process, but this gives you a basic idea. My friend and mentor, Lydia over at Divine Health, has a great post on How Blood Sugar Works if you want more specifics. So, here you are with super low blood sugar later in the day and your body is SCREAMING for food. Remember, in Part 1 of this series, when we spoke about how our brain uses approximately 20% of our calories for the day and when it senses food restriction it switches to famine mode? When our body makes this switch, it will demand food and there is often very little that you can do to stop it (remember the out-of-body experience I mentioned in that post?). Dinner rolls around and you are famished. You may find yourself “hungry enough to eat a horse” and you eat far more in that one meal than your body truly needs. If you have a starch/carb heavy meal, your blood sugar levels are going to spike and the cycle of insulin release starts to take place. Taking things a step further, your body is going to try to store as much as it can (in the form of fat) so that it can be better equipped to survive the famine that it senses it is getting ready to enter into. You may also find that a couple hours later you are starving again. You’re probably wondering how on earth you could be hungry again after eating such a big dinner but remember, biology trumps willpower any day of the week. Late night binges are so incredibly common and this is one of the primary driving forces for them. We simply did not feed our body enough fuel throughout the early part of the day and it is going to make up for lost time whenever possible. To add more insult to injury, many of us know that eating the bulk of our food in the evenings is one of the easiest ways to gain weight. We have a one-two punch here by the body. First, it senses that there is a famine, so it’s going to want to hoard food and store fat to help prevent starvation when food is scarce. And then, we are backloading our day with tons of food (many times high calorie, high fat, high carb foods since those are what the body wants when it’s prepping for a famine), which is impossible to burn off before we go to sleep for the night. It’s a perfect storm for weight gain and metabolic dysfunction. But, have no fear because there is a small, yet powerful, thing that you can do to help balance things out. Any guesses as to what it is? Yep, you got it! Eating breakfast and lunch! 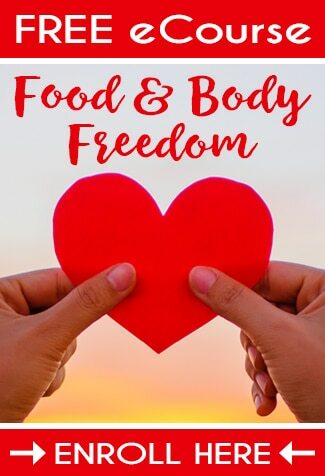 Nourishing our body regularly with quality food is going to be so important to help keep our blood sugar in balance, ensuring we are getting enough vital macro and micronutrients, stabilizing our moods, improving our metabolism, and increasing our energy. If you personally find yourself binging or overeating at night, or feeling any of the symptoms of imbalanced blood sugar talked about in today’s post and Part 1 of this series, take some time to evaluate how much food you are eating earlier in the day. If you find that you are skipping one or both of these meals, make an effort to start adding these meals back into your day. It may take some time and experimentation to figure out what works for you, but we will talk all about that in Part 3 of this series. If the thought of food in the morning makes you feel queasy, we’ll also be covering that in Part 4 of this series so stay tuned. When it comes to nourishing a woman’s body early in the day, I like to focus on healthy protein, fat, and whole food carbs. When we consume too many carbs early in the day, it can set our blood sugar up for a roller coaster ride (unless you are an athlete or someone with a highly physically demanding job). That’s why so many people who eat a carb-heavy breakfast (i.e. lots of waffles, pancakes, bagels, etc.) experience an early day crash where they feel fatigued and foggy. Most of the women I work with in my practice are dealing with slower metabolisms due to things like thyroid issues, autoimmune disease, adrenal insufficiency, etc. so finding an appropriate balance of carbs for these women takes a little patience and experimentation. That’s why I personally help my clients find a sweet spot for carb intake so that we don’t overdo the carbs first thing in the morning. I, in no way, vilify carbs the way they have been vilified for the last 5-10 years. I believe carbs can be quite healthy when they are the right types and right amounts for our bodies. I believe that there are way too many broad recommendations regarding nutrition and very little focus on the bio-individuality of each person. Read this post on 3 Ways to Figure Out What Foods Work for You for more info on how to figure out your specific carb tolerance. Some women need more, some women need less. Carb tolerance is very personal and what works well for you may not work well for someone else.